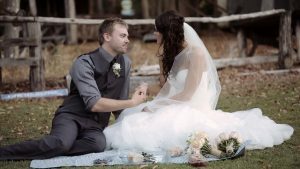 Abby and Bodie’s Boomerang Farm Wedding Video I really like filming at the Boomerang farm. The rustic barn and old farm sheds make for a great background for the wedding video. It is also a very relaxed environment that couples and guests always seem to enjoy.